Health Costs > How Much Does a Cardiologist Visit Cost? How Much Does a Cardiologist Visit Cost? A cardiologist visit is often a requirement for people who have been diagnosed or are looking for treatment for heart and blood vessel related diseases. A cardiologist is the best professional who you can ask regarding matters about the heart. Most people will be recommended to a cardiologist because of chest pains, a shortness of breath or a sensation of fluttering in the heart, often referred to as palpitations. The cost for a cardiologist visit depends on the doctor, the geographical location, your insurance coverage and the complexity of the problem. On average, the price for a visit, without any tests, can be anywhere from $195 to $510 per visit without insurance. If you are being referred to a cardiologist, plan on visiting at least two to three times to receive a proper treatment plan, have all the tests taken and a diagnosis. As a grand total, this could bring the total costs, with tests, closer to $800 to more than $3,000 without insurance. Cardiovascular Consulting says the average visit without insurance will be in the $200 to $400 range, and this would cover the office visit, the physical exam and the EKG. The final amount will greatly depend on how much more information the cardiologist will need and how the heart problem needs to be treated. If the EKG didn’t show enough information, for example, more tests could be required, adding $500 to $1,000+ to the total bill. The first visit with your cardiologist will often include a routine check-up and an EKG, which will show the doctor exactly how your heart is beating in real time. Most of the time, patients will be referred to one by their primary care physician. The doctor may also request blood and/or urine samples to determine any irregularities and a course of action. If more tests are needed, as discussed below, you may have to come back at another date to have them done. These tests will include a stress test and/or echocardiogram. 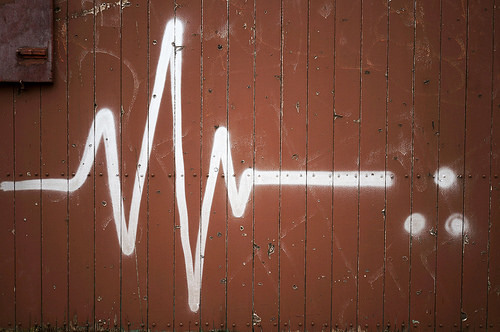 An EKG will more than likely be done during your first visit to see how your heart is beating. During this test, the cardiologist will attach electrodes to your chest and view the results in real time on a monitor. This test should cost about $15 to $45. Additional tests, depending on your situation, may also be required. This will include a stress test, an echocardiogram or even both. The stress test will determine if you have any blocked arteries, while an echocardiogram will be able to test the valves and the muscles in the heart. These tests may be done during the initial visit; however, most of the time, the cardiologist will ask you to come back at a future date. A stress test, depending on the type, can be as little as $150 to as much as $3,000, while an echocardiogram can cost anywhere from $300 to more than $750. Plan on visiting the cardiologist at least three times to receive a proper diagnosis. The first visit will be a consultation, where the cardiologist will get to know you and your background and offer his or her opinion and potential options. If a stress test and/or echocardiogram is ordered, you will more than likely have to come at a future date to get these tests done, and the results will be discussed during yet another date, bringing the total to three visits. Ask your cardiologist how the lab tests will be billed. If it has to be done at the hospital, the costs can be much greater than having it done at a local outpatient center. The professional society for cardiologists does not recommend stress tests for screening purposes if there are no symptoms present. A reputable cardiologist will recommend this type of test if you have symptoms such as chest pain, palpitations or a shortness of breath. Make sure that you check with your medical provider to see if you are covered as this can lessen the cost or it can provide the service at no charge at all. If you have no insurance, consider purchasing a higher deductible policy from companies such as eHealthInsurance to help bring the costs down. Consider setting up a payment plan if you can’t afford all of the payments up front. Most offices will be more than happy to set up a plan that best suits your budget. Many offices will offer cash discounts if you ask ahead of time. Even if you have insurance, it may be a lot cheaper to go this route. was charged $157 for a follow up after a heart event. Got double charged because cardiologists in Lynchburg are all now part of the hospital so a visit with the doctor results in an additional hospital charge as an “outpatient”, which was $386. In August, a phone call to ask about some heart discomfort was billed by the hospital as a $211 “remote consultation” plus billed by the doctor as a “consultation” for $85.